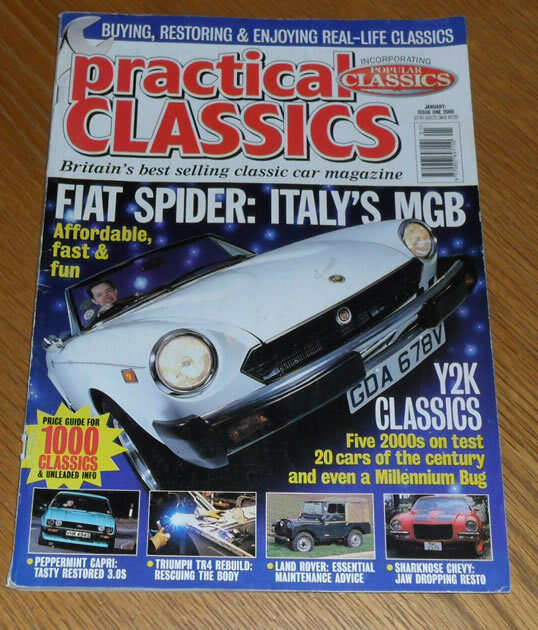 January 2000 of the British Magazine, Practical Classics. The cover feature of this issue is a Fiat 124. Other articles include items on the Chevrolet Camaro, Ford Capri, Bond Bug and many more.